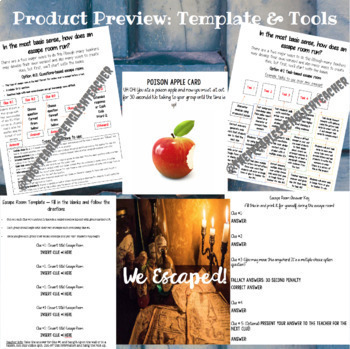 Escape Room Activity Template For Any Text or Subject Area: No Lockboxes Needed! 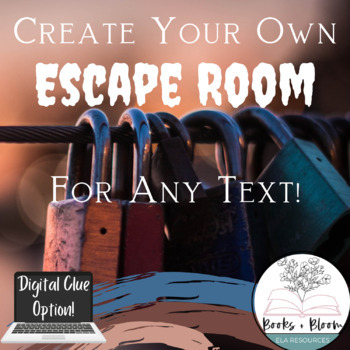 After creating so many escape rooms for my classroom, I have created an escape room template for you to use to adapt to be able to create your own escape room! 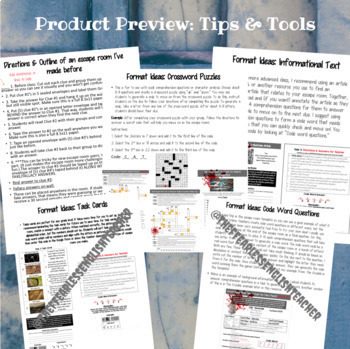 The tools in this product will help you to make your own escape rooms for many years to come. This product is for classrooms without access to lock boxes for escape rooms. I have broken down the information as best as possible so it is newbie-friendly. This product includes everything you need to create your own escape room and bring a lot of fun into your classroom. This is applicable to any grade or subject area though the model example in the product is ELA-based! ★★★ Feedback and Followers ★★★ Please help my little business grow! Did you know that you can receive $ credit towards future TpT purchases by reviewing this product? 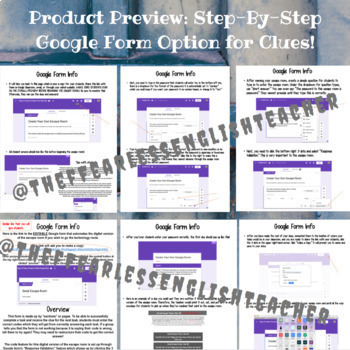 If you enjoyed this product, please leave a review at the product page or through "My Purchases" under "My Account" at TpT. Thank you!